Experience Dipaolo’s Red Lion Inn’s warm and inviting, family-friendly atmosphere and delicious homemade Italian food, all made daily in our kitchen. Our cozy restaurant and bar attract people from all over South Jersey. Located in the historic town of Southampton, NJ, Dipaolo’s Red Lion Inn has been a meeting place for friends and an intimate dining experience for families for over 90 years. Recipes dating back to the late 1800's have drawn people from as far away as Germany and Switzerland. We’ve been a family-owned restaurant since we went into business in 1923. 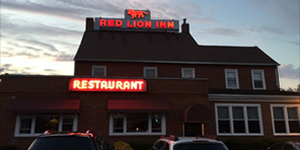 Opened by Givino Di Paolo, the Red Lion Inn has seen four generations of owners, including Archie and Divina Di Paolo, Steve and Christine Black (Givino's granddaughter), and currently Stephen Black. Part of our success is the countless time we spend in the early hours of the morning preparing these fresh dishes. We enjoy putting forth this effort so that your family can enjoy quality time and a fantastic meal with one another. We are proud to offer our home-cooked cuisine at reasonable prices. So, we invite you to sit back, relax, and enjoy your dining experience! Dipaolo’s Red Lion Inn would love to host your next private event. 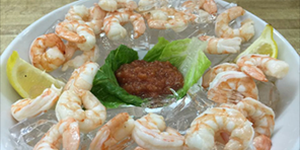 We provide you copies of our regular menu and discuss appetizer options, fruit trays, cheese trays, and a variety of other arrangements. We are here to make your event perfect, so tell us exactly what you want and we will do our best to provide it! From deep-fried, seasoned button mushrooms for appetizers to our signature sauce served over baby clams or hand-rolled meatballs for your main course, Dipaolo’s Red Lion Inn has got the dish you desire for a reasonable price. We spend hours each morning hand-preparing your food for your enjoyment at dinnertime. Bring your family to Dipaolo’s Red Lion Inn for a remarkable dining experience tonight! Looking to cook at home or just simply to stop by and pick up a party platter that can feed family and friends? 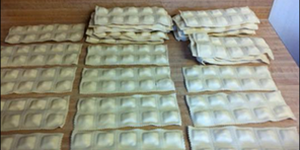 Call Dipaolo’s Red Lion Inn and order your supplies, we’ll have everything ready when you arrive. Dipaolo’s Red Lion Inn loves preparing our made-from-scratch, home-cooked Italian meals for you and your family. Come savor our delicious dishes, while enjoying the music of a piano player (many evenings). We want you to have a relaxing and satisfying experience in our family-friendly restaurant and bar. If you have any questions, would like to make a reservation, find out specials, or book a banquet, please call 609-859-9813 today!